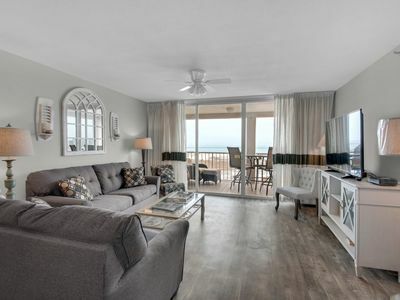 Welcome to unit 57 at Southbay by the Gulf. 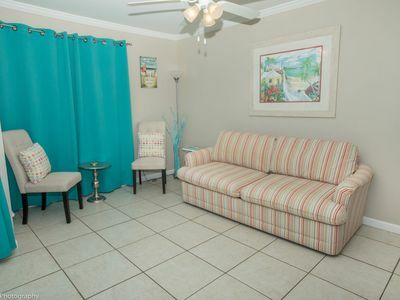 The town home has been recently updated with new flooring, kitchen and bathroom vanities. 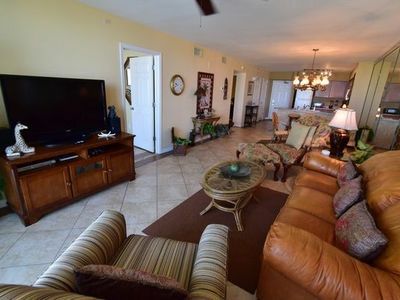 It is a lovely two story town home with two good sized bedrooms and two and a half baths. Each bedroom has its own private bath. 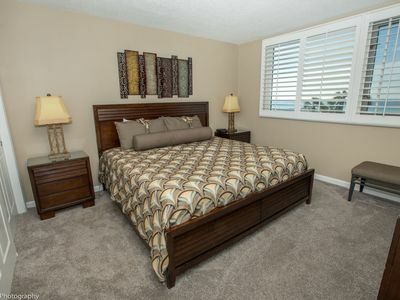 With 1200 square feet of space their is plenty of room to move around and you won't feel cramped. 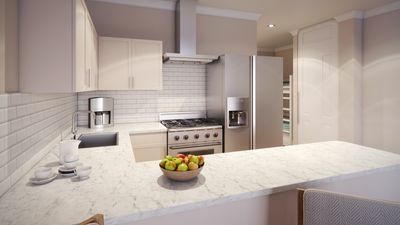 The kitchen is well stocked with everything you will need to prepare your own meals. All the bedding and linens were recently replaced. 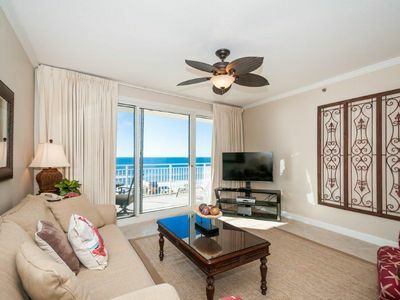 There are two flat screen televisions with cable and DVD players. 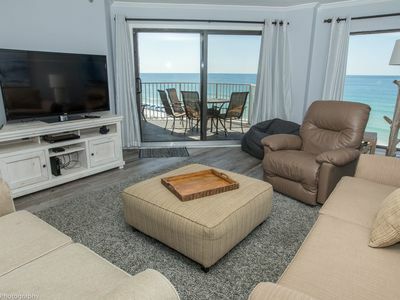 The unit will sleep six with a queen bed in the master bedroom, a full over twin bunk bed in the second bedroom and a pull out sofa. There is also a "bed in a bag" (similar to a roll away bed). 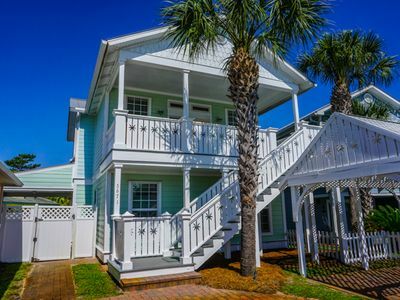 Both the upstairs and downstairs decks are on the lake and you can fish right off the decks. The lake is catch and release. The decks are large and a great place to sit and relax or have a great breakfast. 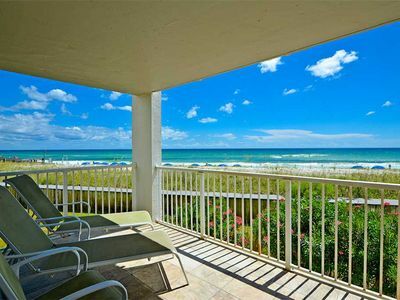 It is a short walk thru the complex to the private beach (approximately 150 yards). There are no roads to cross and you have private access from the complex. 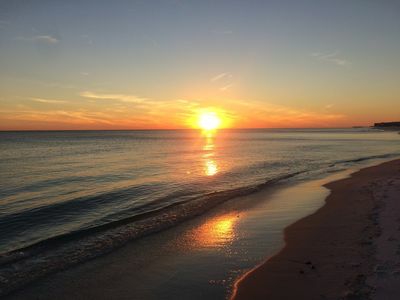 Beach service is available during high season. 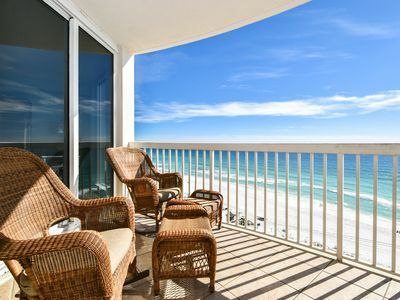 If you have not been to Destin before, it has some of the most beautiful white sand beaches you will find. The complex has two swimming pools, with one of them being about 100 feet from the front door. 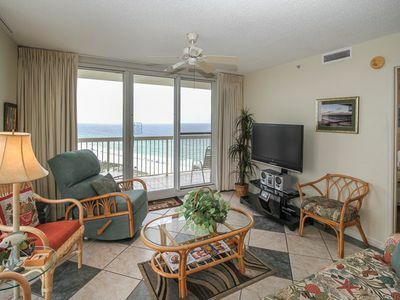 Tennis courts and outside grills are also available. 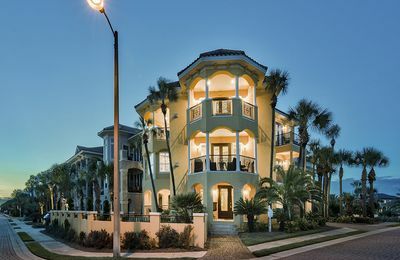 Southbay by the Gulf is a 115 unit town home complex that is split in two by a small five acre lake. 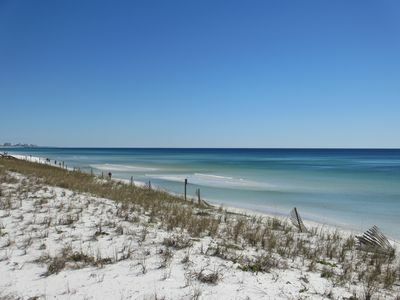 Unit 57 is located on the "beach" side of the complex and accessed by Sandprint Drive, a small road that winds around the lake. The road ends at the complex which makes for a private location with no cross thru foot or vehicular traffic. 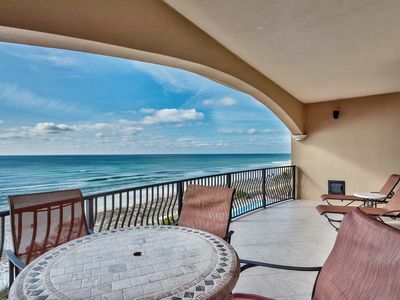 The complex is also located in the heart of Destin and close to everything you will need. The unit has two reserved parking spaces right outside the front door. No long walks and waiting for the elevator. There is an additional pet cleaning fee of $50.00 that will be added to the rental fee if approved by the owner. 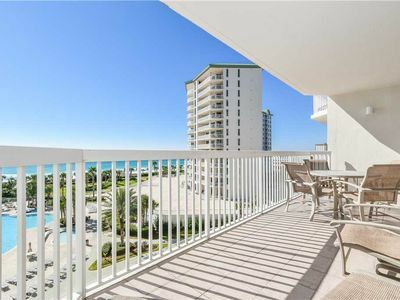 Beautiful Updated Condo with Gulf Views! Free Golf & Parasailing! 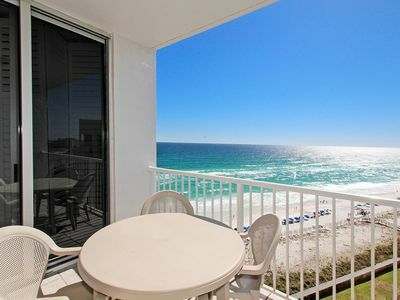 SunDestin 0503 - Book your spring getaway! 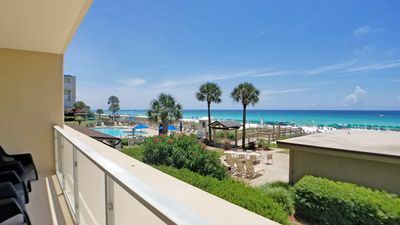 Shoreline Tower Penthouse 1123 - Beach front & reserved garage parking! 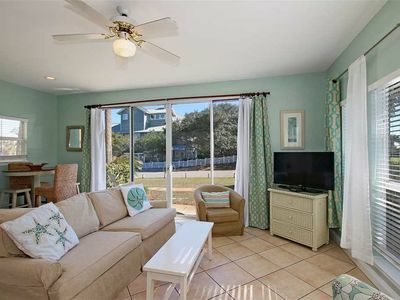 Gorgeous Vacation Home in Destiny by the Sea w/ Private Pool! 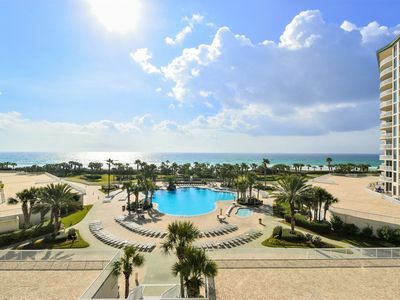 VC303 Gulf front,4 bedrooms, 3 baths, pool, gym, beach chair service inc!!!! 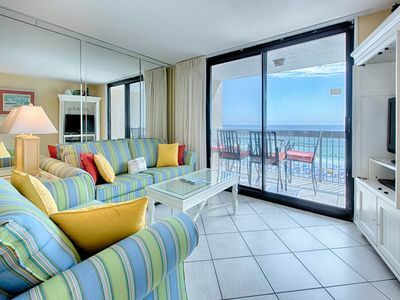 Nice 2Bedroom #510 at Magnolia House on Holiday Isle!